Lady La Roux continues her winning streak!! Today I give you not one but two songs from her pretty much amazin album Trouble In Paradise. Firstly, I would like to commend LLR for crawling out of the hole of despair she had crafted herself on previously released track Let Me Down Gently. Or at the very least getting herself a Xanax scrip, because these tunes are jangly and heepppy. Uptight Downtown is the official single, and while it's still no Bulletproof (I saw it live @ Gov Ball and I swear to God it was better than the Click 5), it's pretty fG. Sexotheque is also equally catchy. Lyrically, what I can understand from La Roux's terribly enunciated delivery is simple and devoid of dumb hipster phrases. So points for that. But srsly gurl try not to sing like you swallowed 7 painkillers. *** In the 2nd song, literally all I hear is her yelling money money money, and "he nvr answers the phone," which leads me to believe perhaps the narrative involves a prostitute who is being ripped off, but this is just a guess. 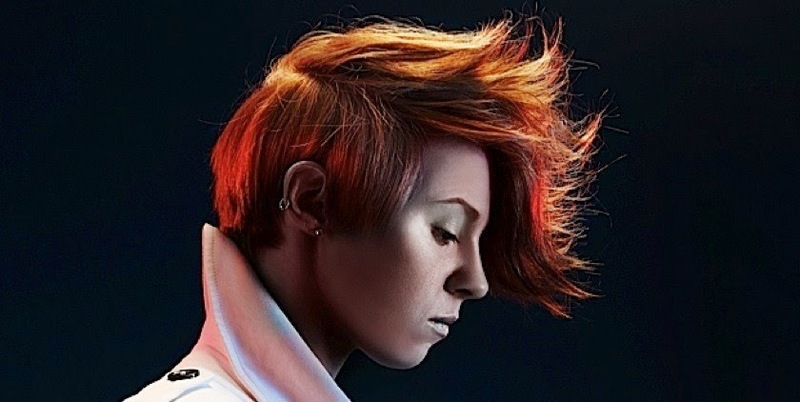 ANYWAYS, the main point is that La Roux's entire album rocks so please go buy it. Or like get on Spotify and stream it because maybe Itunes is dead now? Idk I don't even have apps. *** I know this post has a lot of references to prescription drugs, but I want to put it out there that I am afraid of taking too many Advil so plz don't think I am Paula Abdul.